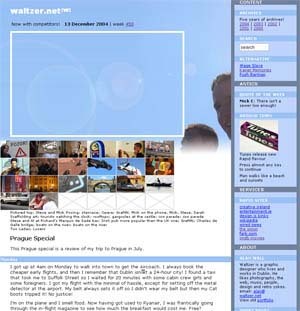 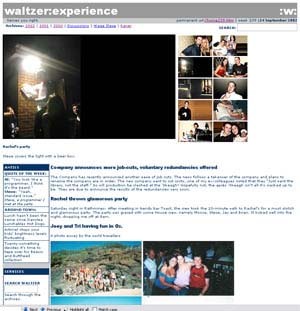 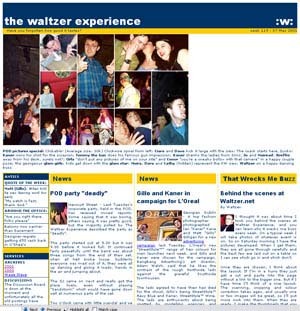 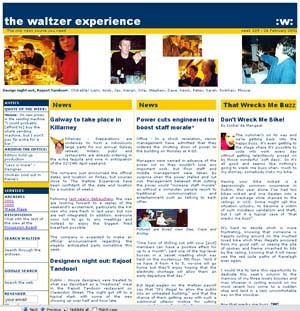 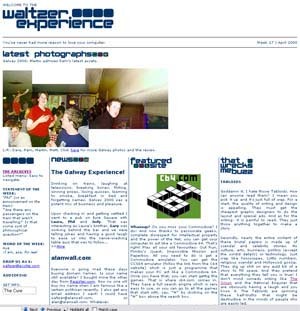 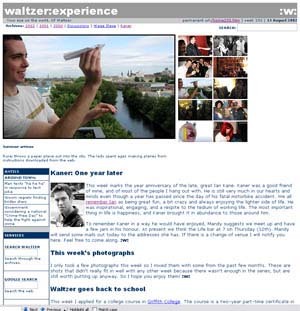 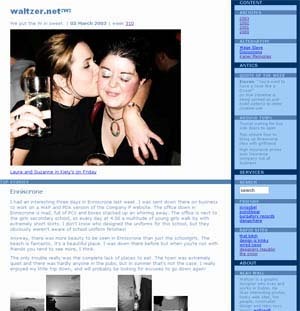 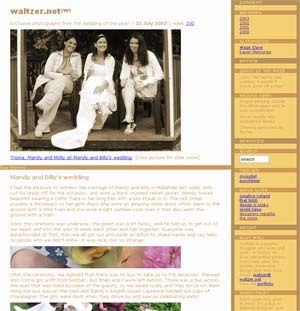 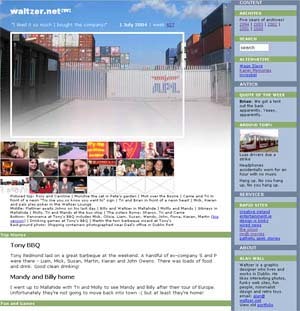 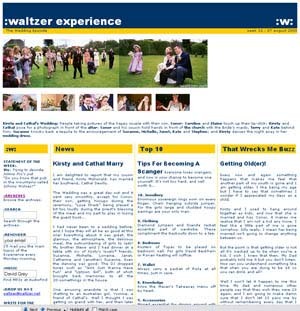 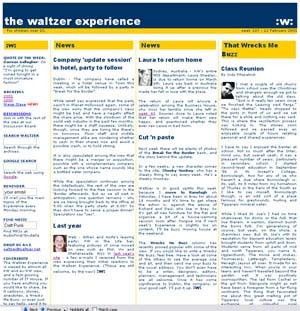 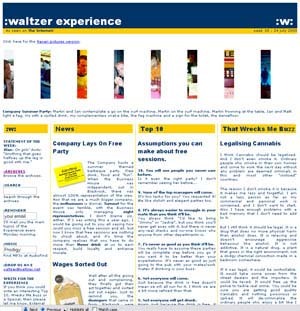 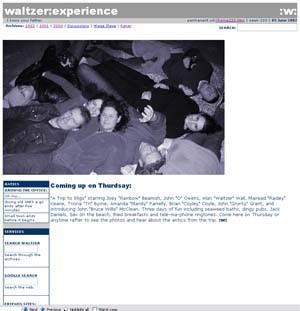 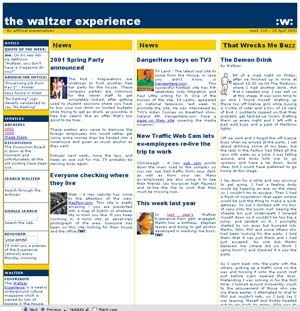 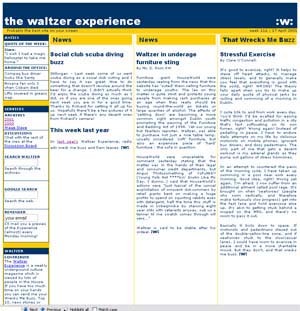 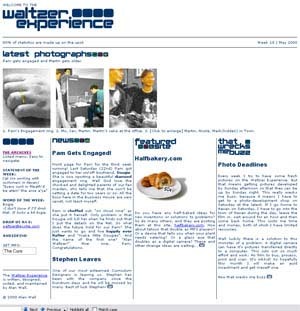 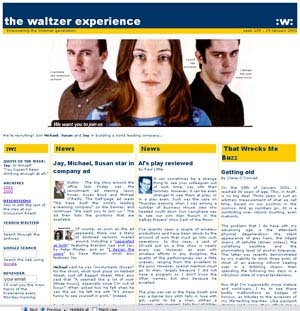 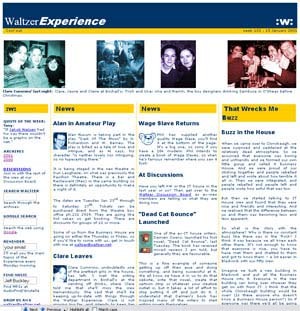 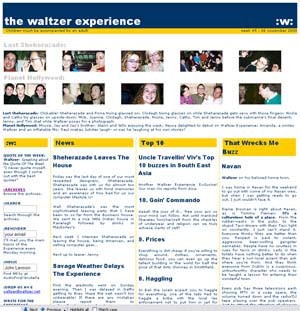 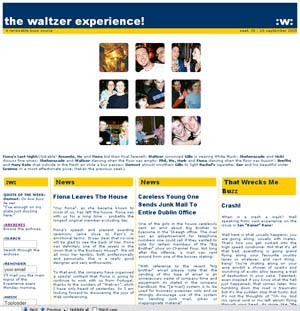 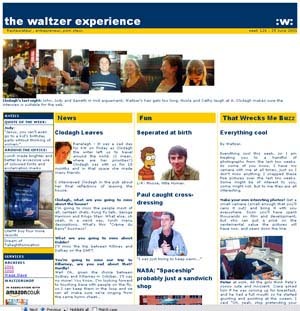 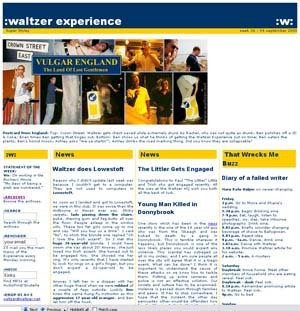 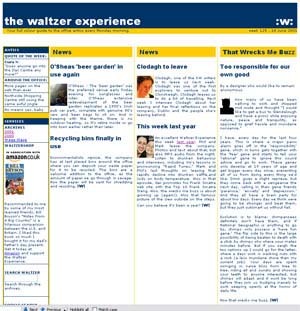 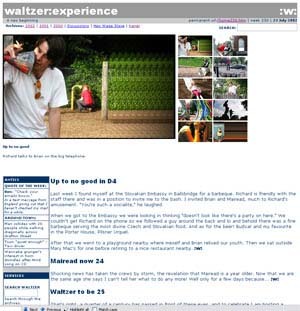 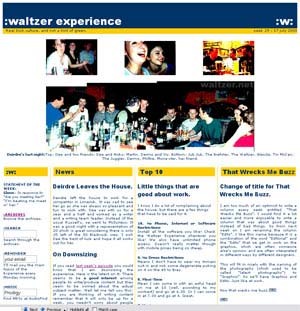 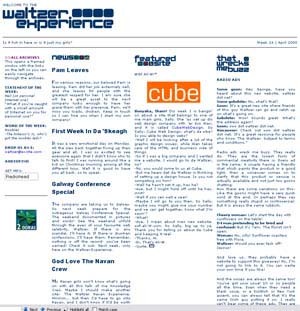 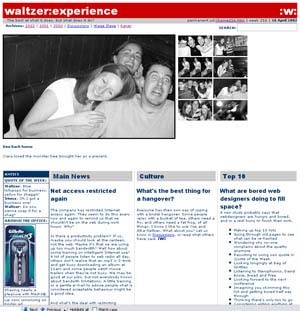 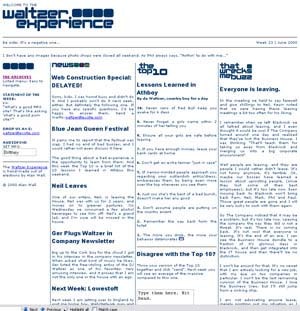 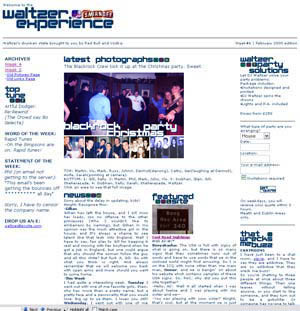 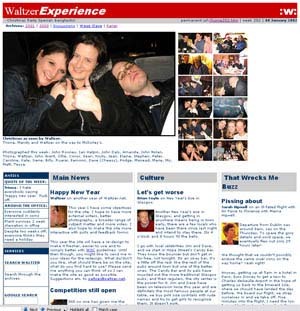 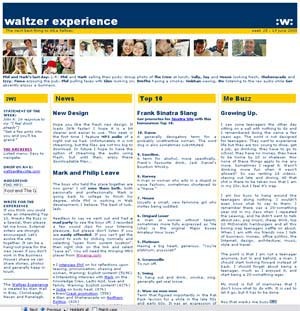 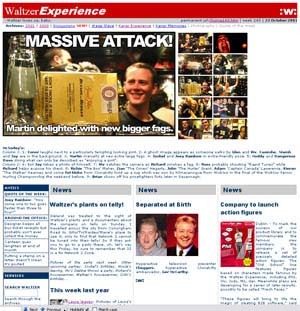 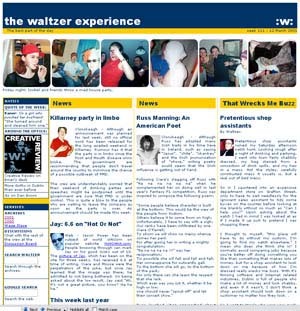 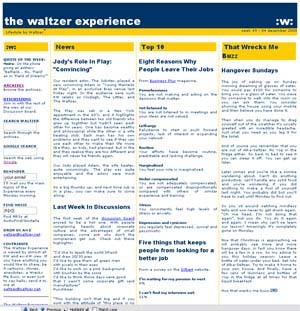 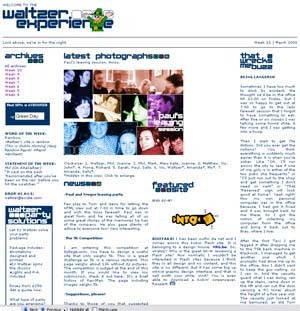 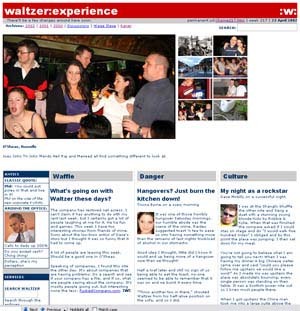 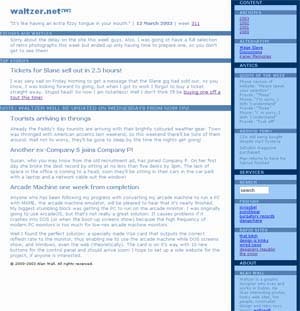 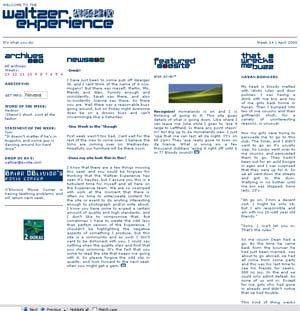 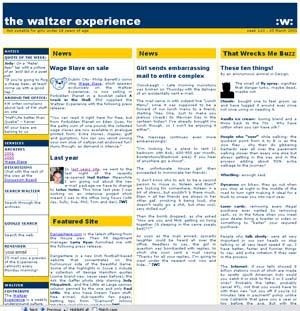 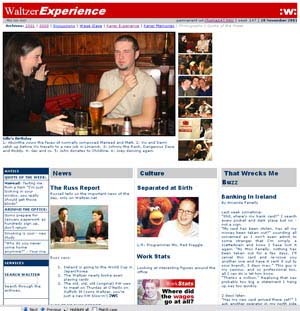 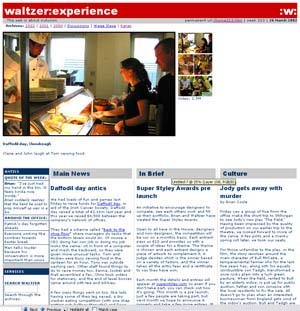 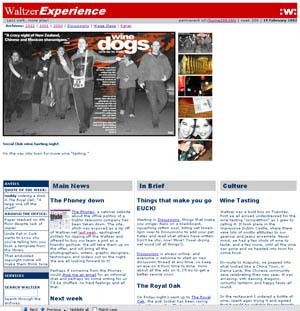 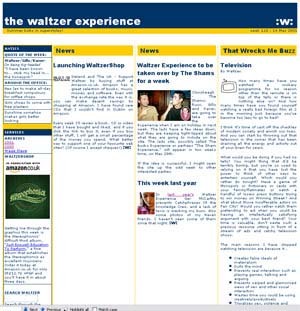 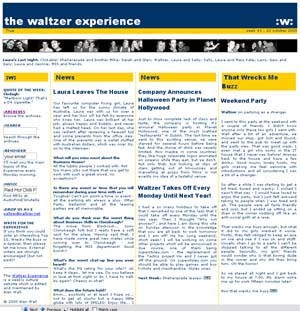 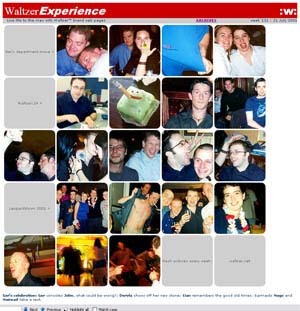 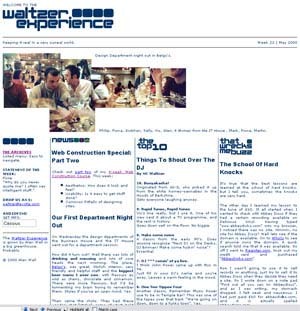 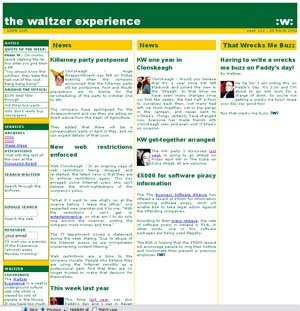 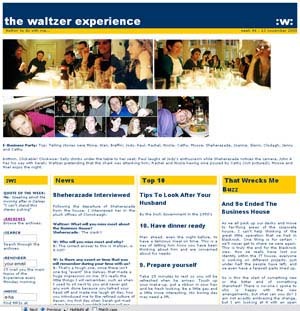 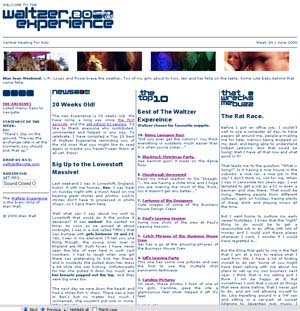 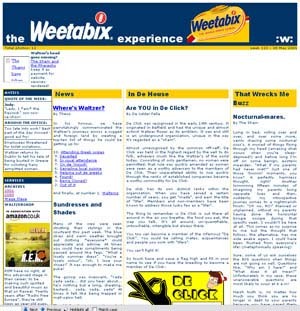 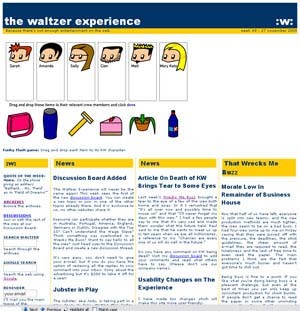 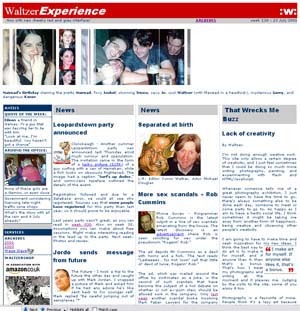 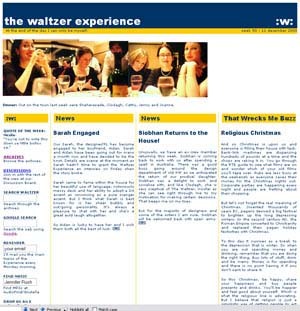 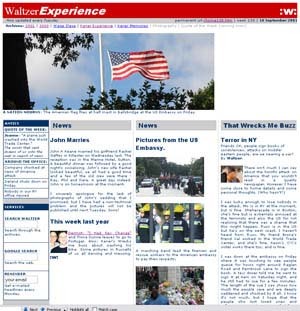 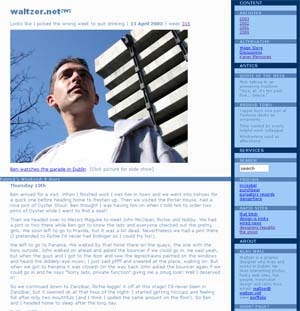 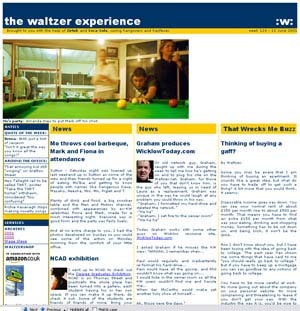 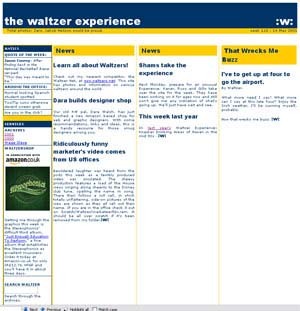 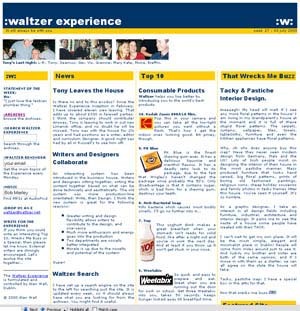 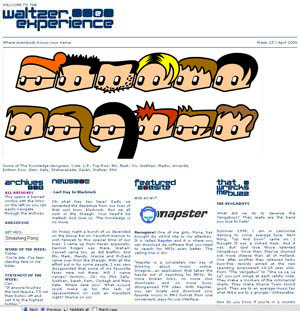 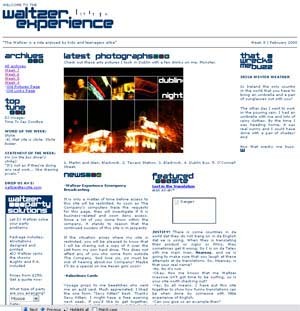 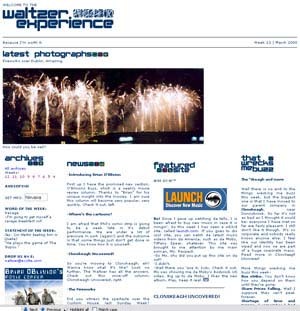 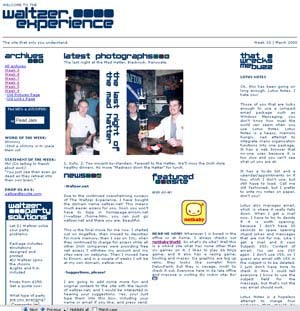 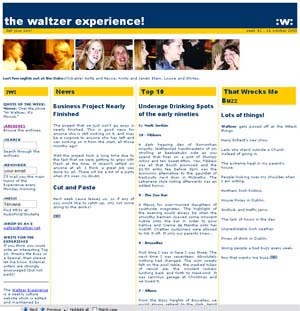 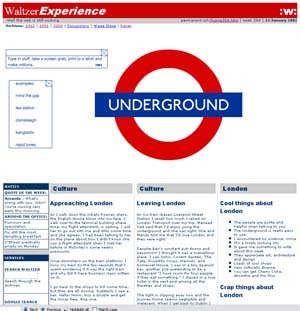 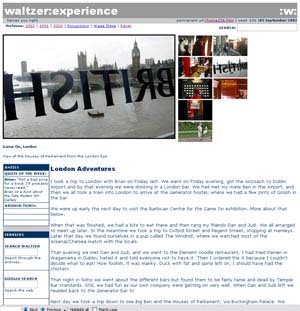 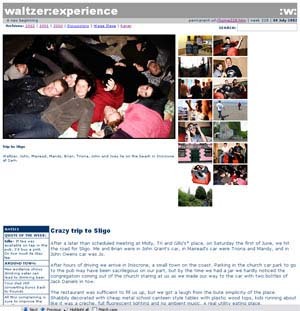 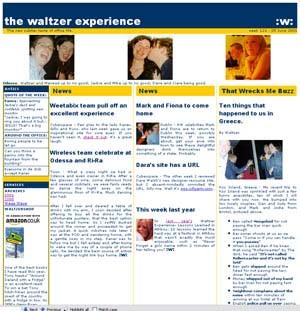 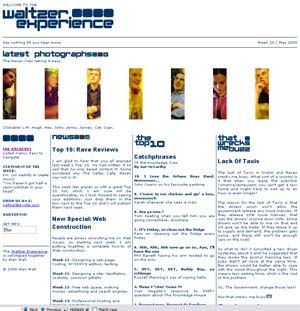 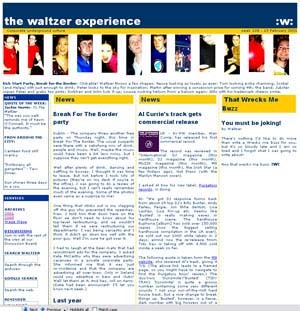 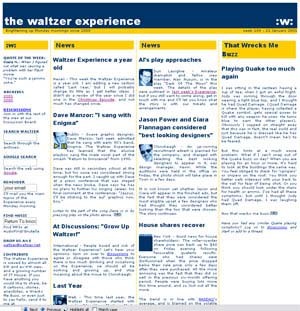 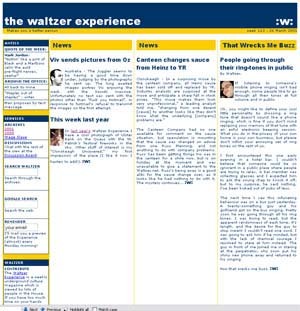 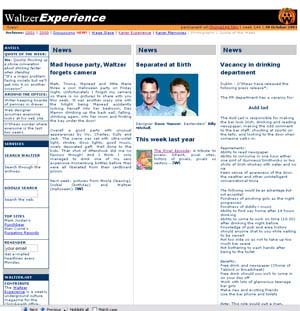 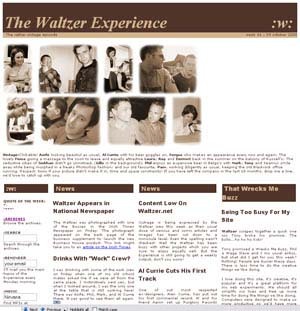 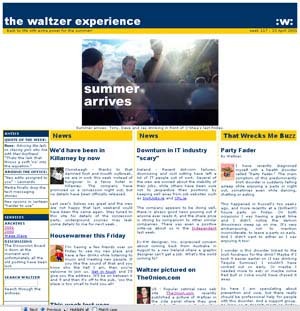 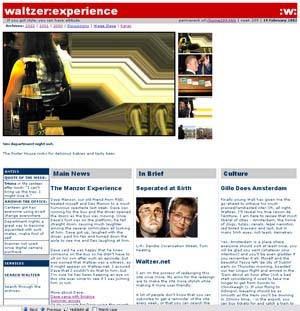 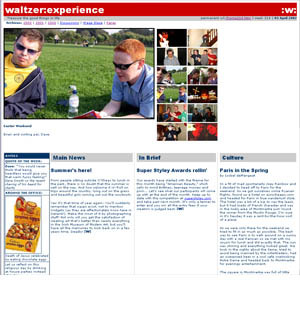 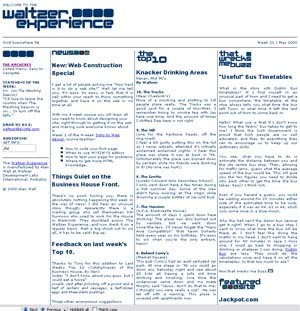 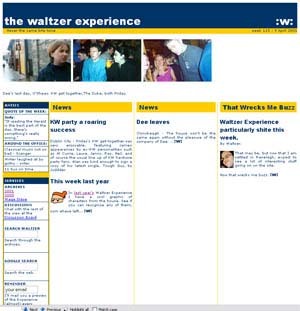 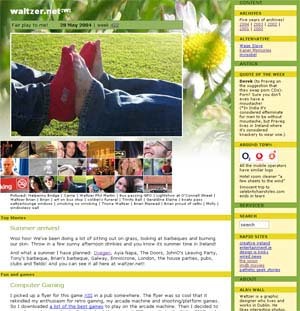 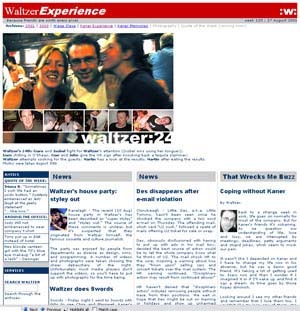 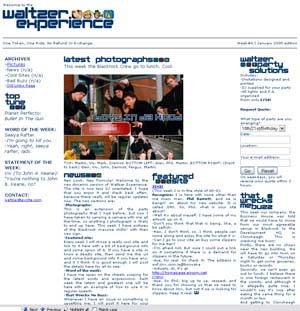 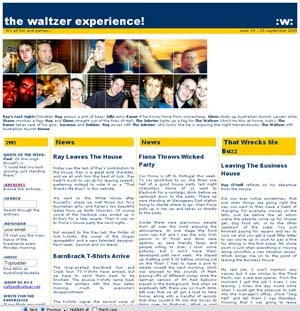 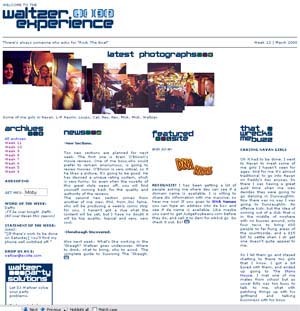 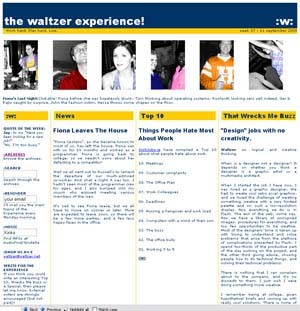 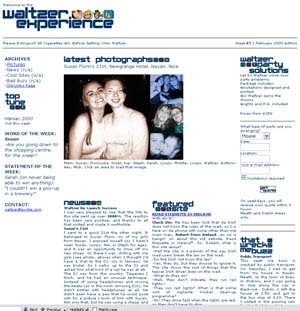 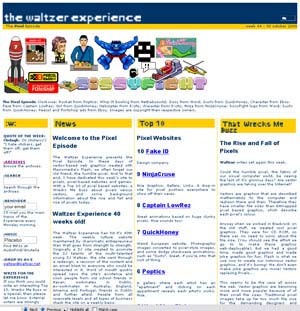 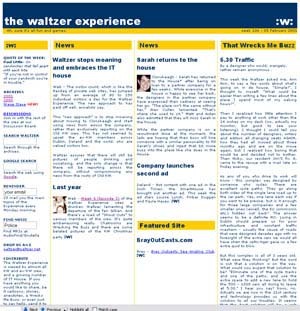 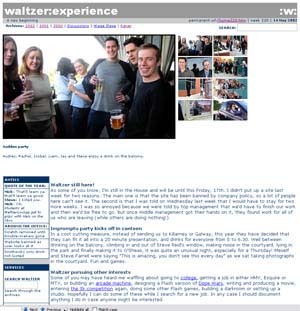 Waltzer.net started out as a weekly magazine based around the social life of an IT company in Dublin in 2000. 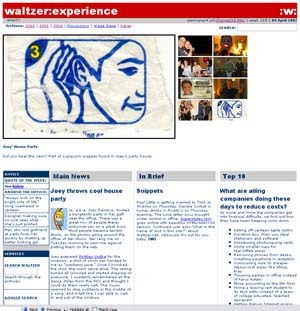 This was the peak of the dot-com bubble where free parties, kids straight out of college with lots of money, and hanging out with dozens of creative and technical people was the order of the day. 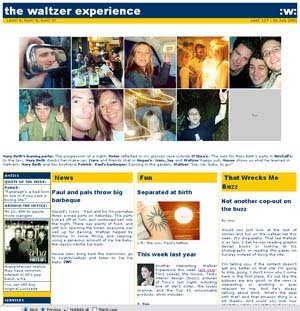 Over the years the frequency waned as I became too busy for the weekly updates. 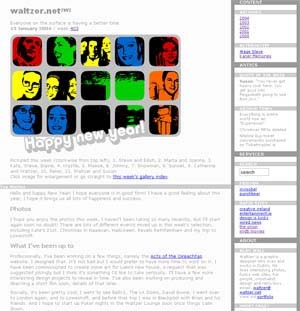 Eventually the dot-com bubble burst and and the company laid off hundreds of staff, including me. 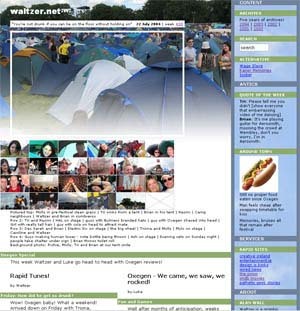 At this point the site began to lose its direction. 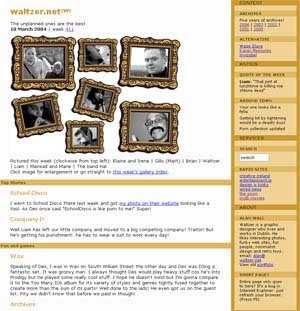 I stopped creating it in 2005, at which point I started posting photos to flickr and blogging here using WordPress. 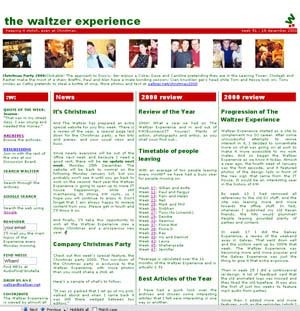 My company blog is at WaltzerDesign.com. 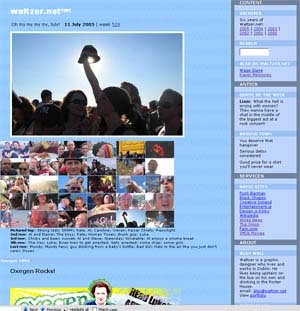 I’m also on Facebook. 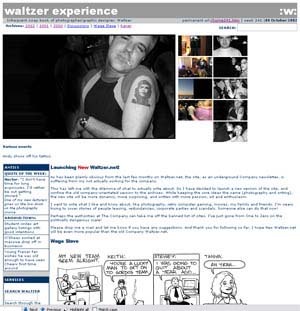 Don’t miss Wage Slave, Phil‘s great comic that ran in Waltzer.net over the years. 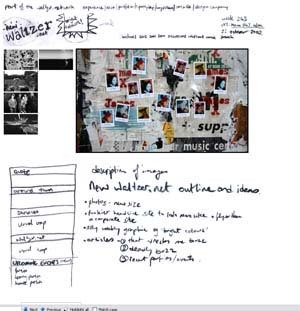 Warning: a lot of stuff doesn’t work anymore, like forms, links and polls. 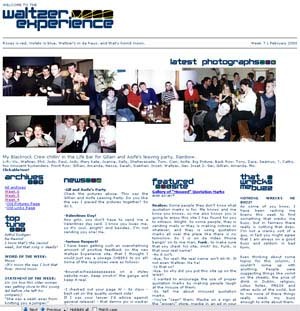 Best to just read and look at the pictures! 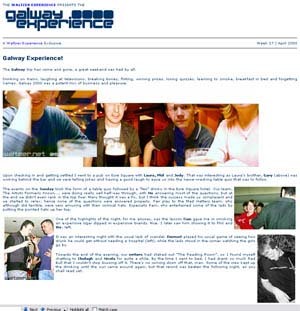 Mandy, Tony, Navan, Crates, Top 5 special: What tunes are playing in you headphones at the moment? 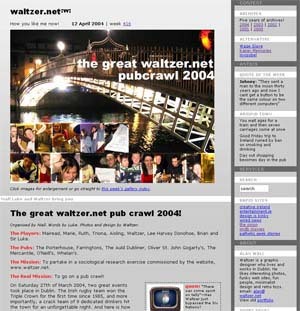 The great waltzer.net pub crawl 2004! 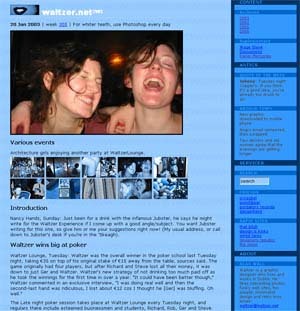 Organised by Niall. 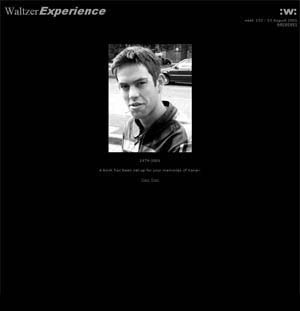 Words by Luke. 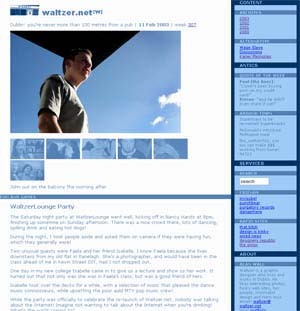 Photos and design by Waltzer. 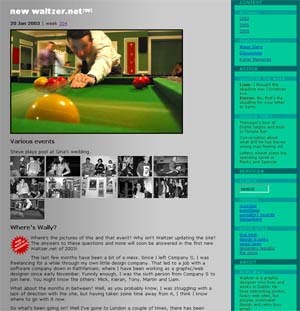 Photos:Various events, Main: Steve playing pool. 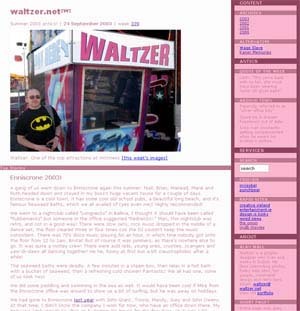 Holding page while the new Waltzer.net gets built. 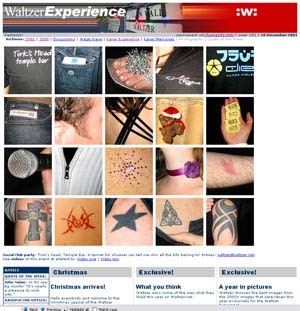 Half a dozen different photos. 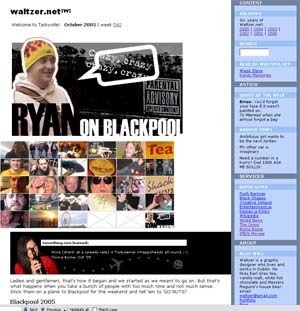 Dee back home, Net access restricted again, What’s the best thing for a hangover? 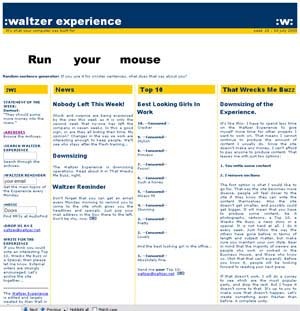 Top 10: What are bored web designers doing to fill space? 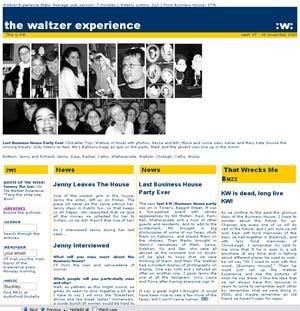 Joey throws cool house party, Top 10: What are ailing companies doing these days to reduce costs? 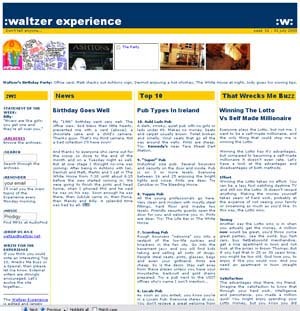 Jody’s Play reviewed, Liz leaves, also Sarah Mordan, Martin Byrne wins €1400 in the third floor lotto, Dog Racing! 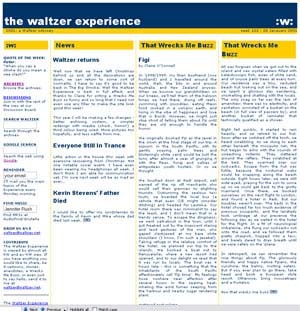 That wrecks me Buzz: Here comes the winter! 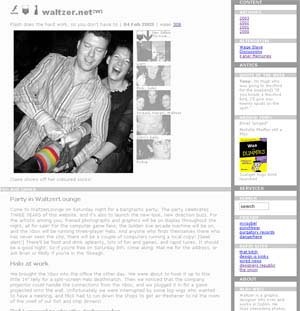 That wrecks me Buzz: Waltzer a year older! 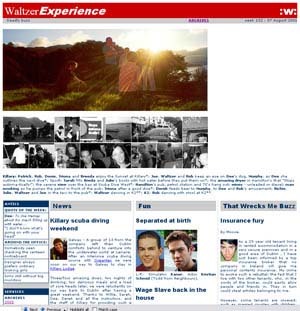 That wrecks me Buzz: What’s going on with the Experience? 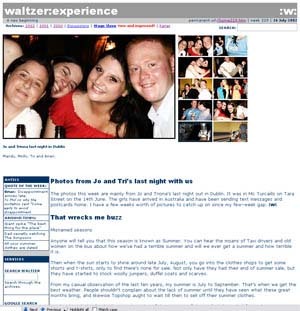 That wrecks me Buzz: Thinking of buying a gaff? 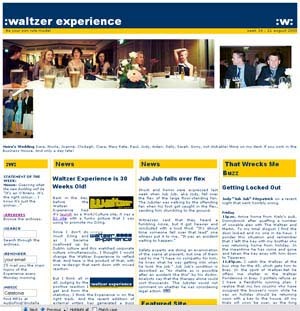 Photos: Waltzer’s head goes missing? 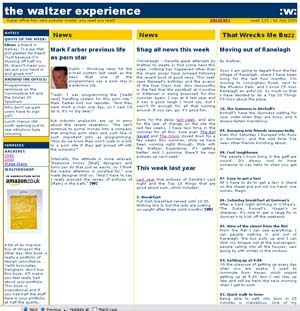 News: Waltzer does Lowestoft, Paul Gets Engaged, Man Killed In Donnybrook, Second Exodus coming, Barmbrack revival, Roads out of fashion. 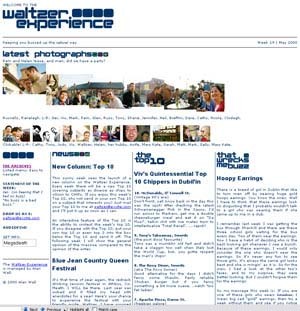 News: Top 10, Blue Jean Festival, Helen Leaves. 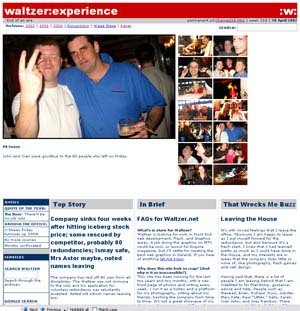 News: Pam’s engaged, Stephen Leaves. 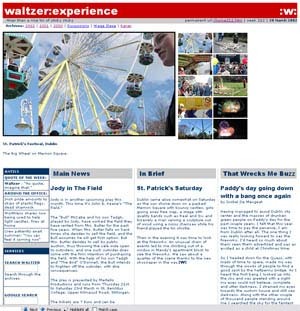 Pictures: Paddy’s day in Navan. 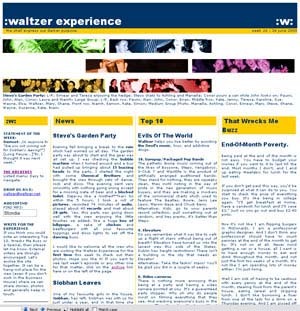 News: New sections next week! 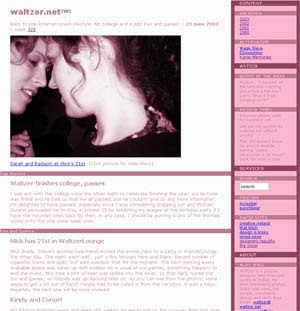 News: Waltzer.net , Suggestions please. 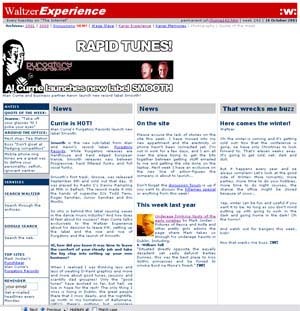 News: Shooting Caroline, New mix tape. 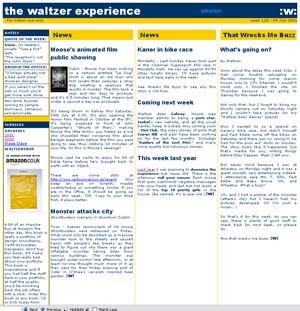 News: Emergency Broadcast, Valentine cards. 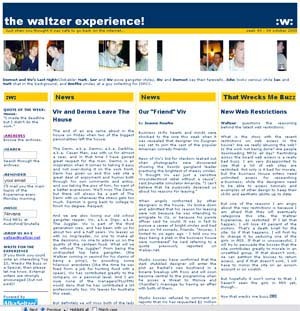 That wrecks me Buzz: Losing the original wrecks me buzz! 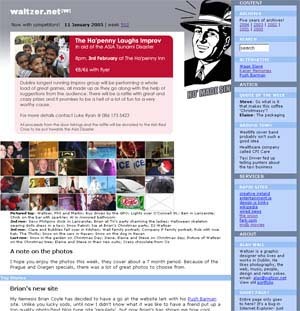 Powered by Hemingway flavored Wordpress and modified by Fen.